The first one is a joint venture between a local coffee chain and Starbucks Inc. For example, this was the case in Poland, they are running Starbucks Coffee in collaboration with AmRest. 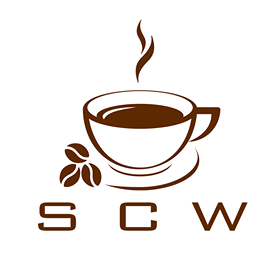 When they are selecting companies for a joint venture, they are looking at high know-how and reputation in the coffee area. Then they are also making strategic alliances with other brand companies like it was done between Starbucks and United Airlines: in that way, they are making sure to be the online coffee supplier during all their flights. One key entryway of Starbucks is franchising mostly in Europe, Middle East and Africa: they have created a franchising program. According to their website if you want to be a franchisee you need to “be skilled in Hospitality Management, to be able to invest at least 300 000 euros and to commit itself to open at least 15 stores in the 5 next years”. As you can note this is very high standard criteria and a long commitment to the brand, by asking these requirements Starbucks is making sure that the franchisees will really represent and embody their values. Starbucks is also using licensed operations with existing stores in which they put some kiosks like this is done in hotels, malls, airports and universities for example. In order to ensure a tight control over manufacturing, marketing and strategy they have their wholly owned subsidiaries and FDI: these shops are generally good ambassadors for other shops with experienced and skilled baristas that are training other baristas over the world. For example, in Singapore, they owned their own stores. Lastly, the final entry mode is the one in which the Siren Brand need fewer investments and engagement: automated vending machines. These machines offer you « the possibility to have 280 drink combinations selected through touchscreens. Customers can also play different types of games »on the machine to wait the waiting time painless. But is Starbucks using the same strategy in everyone countries? The answer is no, they are making some standardisations but they understood that they need to adapt to the culture of the country. For example for China, they succeed in implementing their shops’ thanks to a targeted strategy. First, they get rid of advertising and promotions because they analysed and felt that the Chinese will felt personally attack towards their culture. China is a country in which people have the habits to drink tea since ages. Instead of advertising, they selected places with high visibility and high frequentation. Then, according to Marketing Chine (a specialist in Chinese marketing), they also introduced Starbucks beverages, which contain popular, local ingredients such as green tea in order to reassure prospects and encourage trial. This strategy was a success because the Chinese developed a taste for coffee. Menus are reflecting according to the country and match habits consumptions. Starbucks also took advantage of the fact that the new generation is attracted by the western lifestyle and coffee consumption habits (working in trendy areas, taking pictures of your beverages,..). Concerning their prices, they adapt it according to the location and standard of living: prices are higher in big towns. Finally, they are using partnerships with local companies in order to promote their values and create new jobs in the concerned areas. Starbucks using glocal strategy was the key to their success. Now we are going to focus on McCafé’s internationalisation strategy. First, when are talking about McCafé’s internationalisation strategy we need to think about McDonald’s one: they have a business structure which is based on the geographic structure of a region. For them, the most important strategy is: “to keep maintaining the major markets and simultaneously expanding the business into emerging markets”. Like Starbucks, they have different customers in different regions and that means that their tastes and demands are different also. In order to find solutions McDonalds “have set up local geographic units in different regions to adjust the product and services, (…) the units are responsible for producing, branding and marketing in that region”. Concerning the entry modes, some of them are similar to those used by Starbucks like a franchise: in fact, 80% of the McDonald’s restaurants are franchised and they need to grow quickly and be profitable. A franchise is a good solution for them because it allows the brand to be suitable for local community preferences. They are also using joint venture partnership to attract new customers like they have done between McDonald’s and the General Corporation of Bejing (work in order to establish a network of suppliers to support the restaurants). They have put in place a “standardized system and process to have an efficient management of the businesses (…) like for example order make to stock and just-in-time process”. But at the same time, they are valorising local management to better understand the local environment by hiring local workers. The prices are also different according to the region of the world depending on the standard of living and currency. McDonald’s also adopted a different strategy in China by offering menu and local ingredients who were popular in the Chinese culture. The architecture and arrangement of the restaurants were also precisely imagined to suit Chinese criteria. Concerning McCafé, it says that they were “designed to offer (customers) a place to meet friends and enjoy a quality coffee experience as well as keep the children fed and entertained”. It was founded in 1993 and has more than 13000 outlets nowadays. According to the specialised website Marketing91, McCafé’s outlet is reputed to earn 15% more revenues than the regular restaurants McDonald. Moreover, the brand has launched different ad campaigns on TV, newspapers, billboards and social media to attract customers. Still according to this website, McCafé’s outlet welcome guest with automated message informing them of new and special products of the day. To increase purchases, they established Happy Hours from 2PM to 5PM with discounts on products. Lastly, as Starbucks is doing with its Reserve Roastery, McCafé opened a new concept: such as its first stand-alone McCafé location in Toronto last year according toAdage, it will “showcase the company’s passion for elevating the café experience”. To conclude, McCafé has a positive future and efforts to become a stronger coffee reference meanwhile Starbucks is still leading the coffee “on the go” market. Previous Post Events: just for fun? or lead to the success of the brand?